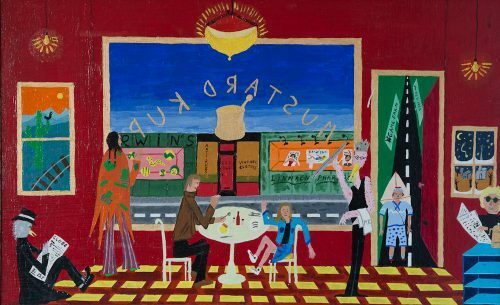 Len Jenkin’s paintings are mysterious narratives, stories hidden and obvious at once, strange and ambiguous. His works often include language and explore the internal landscapes of the imagination and the American scene. His art has been influenced by his work as a storyteller, playwright, screenwriter, novelist, and director.